Physics, the most basic of the natural sciences, entails the discovery and elucidation of elementary principles which shape our physical universe. 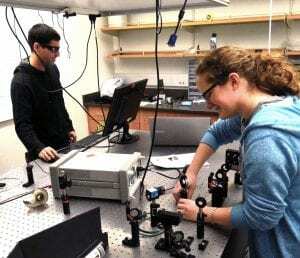 Students who pursue the bachelor’s degree in physics will learn how these principles can systematically be applied to understand diverse phenomena and solve seemingly complex problems. For example, devices such as lasers, GPS systems, photovoltaic (‘solar’) cells, computer CPUs and memory chips, fiber optics, and MRI scanners were all invented and developed by applying fundamental physical principles. 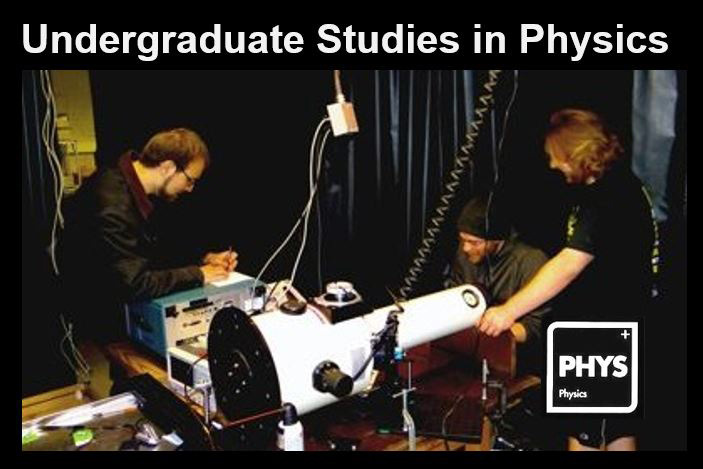 Physics graduates find employment in the various areas of physics and other physical sciences; in technological and health industries; in financial services; and in computer science, library science, education, communication, law, and medicine. Here is *a link to the ‘Ultimate Physics Career Guide’* for physics giving more information and *information from the American Institute of Physics Statistical Research Center* giving data on employment for bachelors, masters and Ph.D. degree holders. Because of its fundamental nature, the study of physics is important for understanding other natural sciences, as well as for students who want to succeed in our technological world. Indeed, transformative research and development often takes place at the interfaces between different scientific disciplines, for example; biophysics, materials science (chemistry and physics), and geophysics. 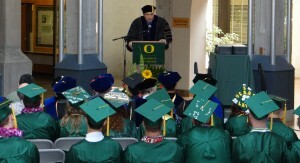 The University of Oregon undergraduate physics program emphasizes laboratory instruction and, particularly, hands-on research. Over 40% of all our physics majors get involved in substantive research. Many of these students continue on through one of the four tracks of the *Materials Science Industrial Internship Masters Program*, where they spend 9 months working as interns for technology industrial partners while taking classes and earning a masters degree. 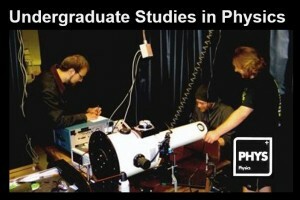 Physics majors also benefit from: ‘near-peer’ advising from more senior physics students via our active Society of Physics Students, participation in undergraduate research groups (URGs); the opportunity to teach as co-leaders of physics tutorials (physics undergraduate tutorial assistants) and can be employed as student workers in the physics demonstration room and the physics teaching labs. 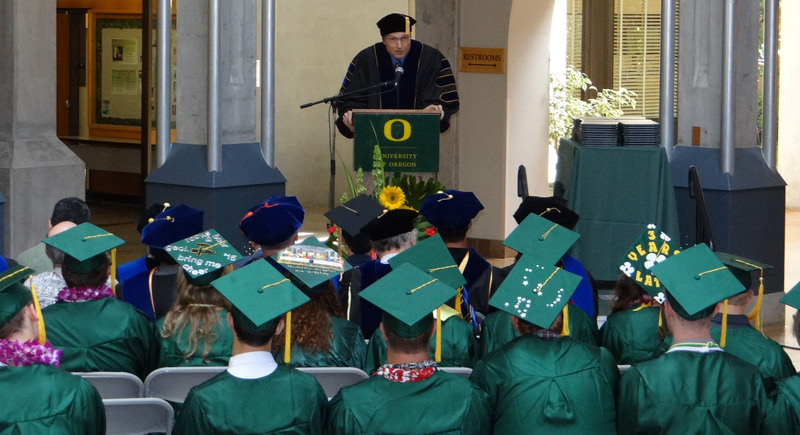 For additional information contact Dr. Scott Fisher (rsf@uoregon.edu, (541) 346-4799) or Dr. Dean Livelybrooks, Advising Coordinators for the Department of Physics.